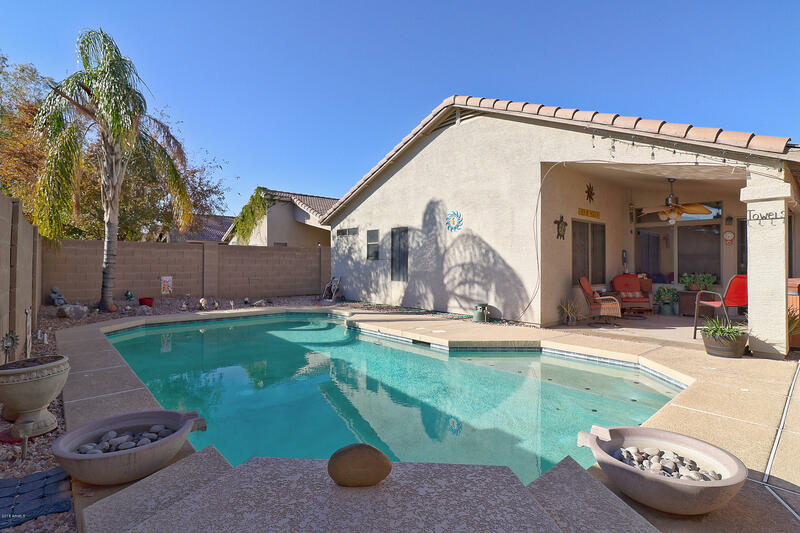 ***A rare opportunity in Surprise*** LOVELY** CLEAN AND NEAT**POOL**2 CAR GARAGE**NICELY UPGRADED**Welcome home to this popular floor plan, conveniently located in Surprise. Split master, roomy Great room for your family and friends activities, a covered patio for entertaining next to your pool. With the new AC unit, your power bills will be more economical. The back yard is surrounded by single story homes, so your privacy is not compromised. Surprise has so much to offer with the shopping and freeway systems in place. Don't miss out, call for an appointment today!! !